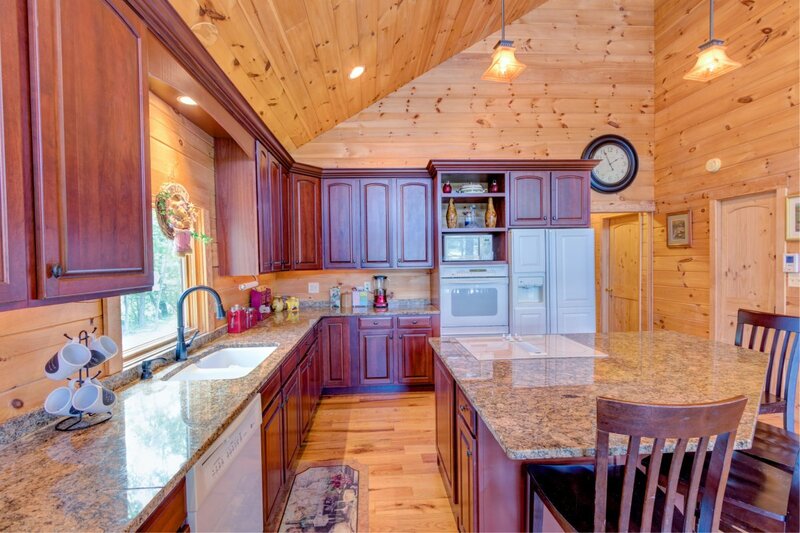 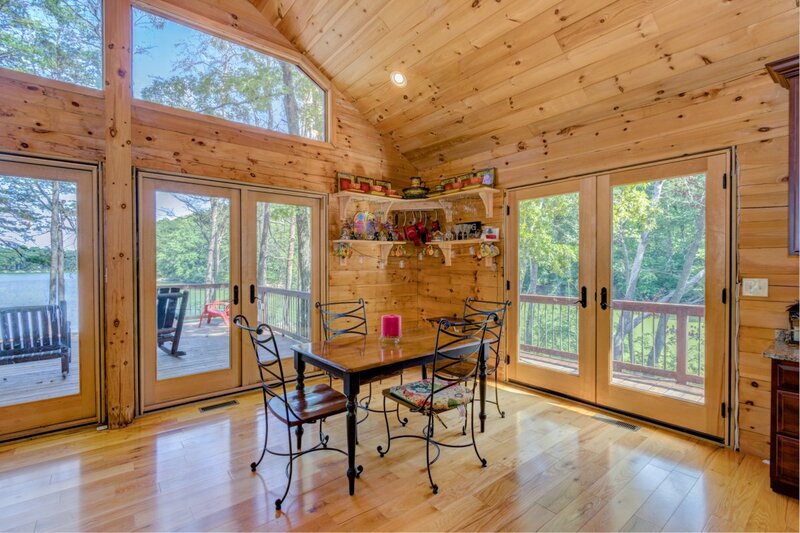 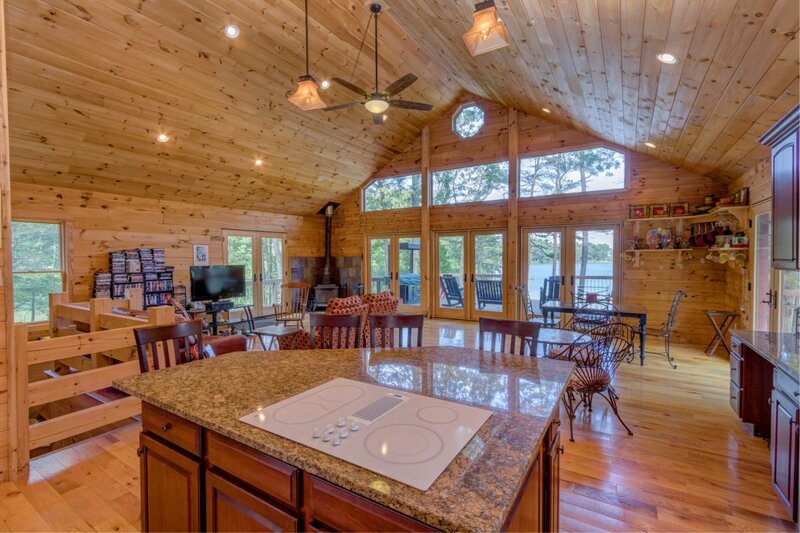 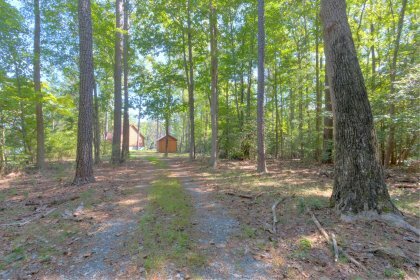 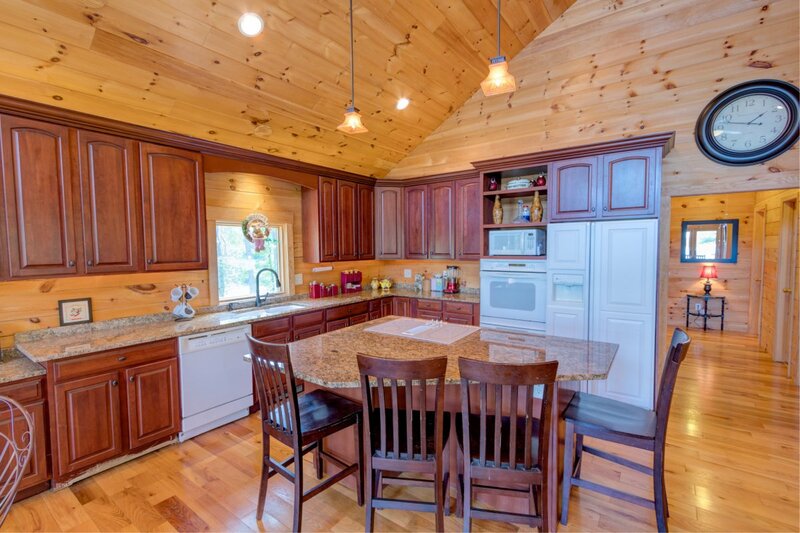 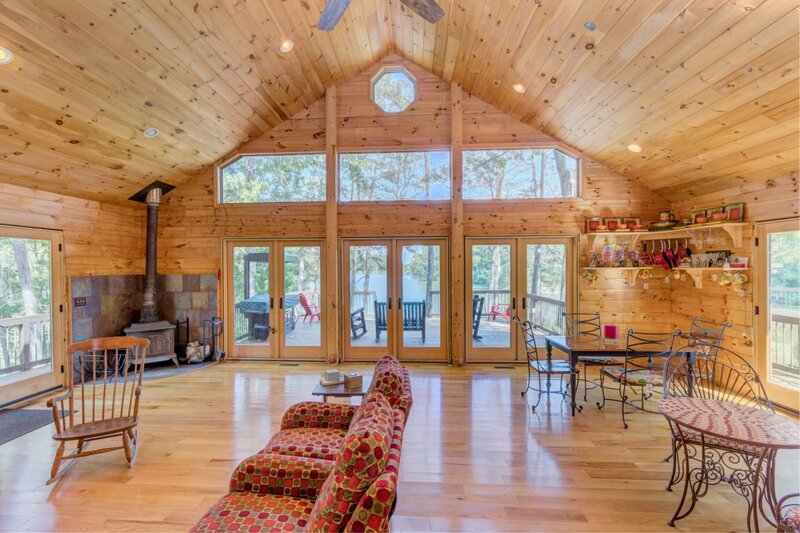 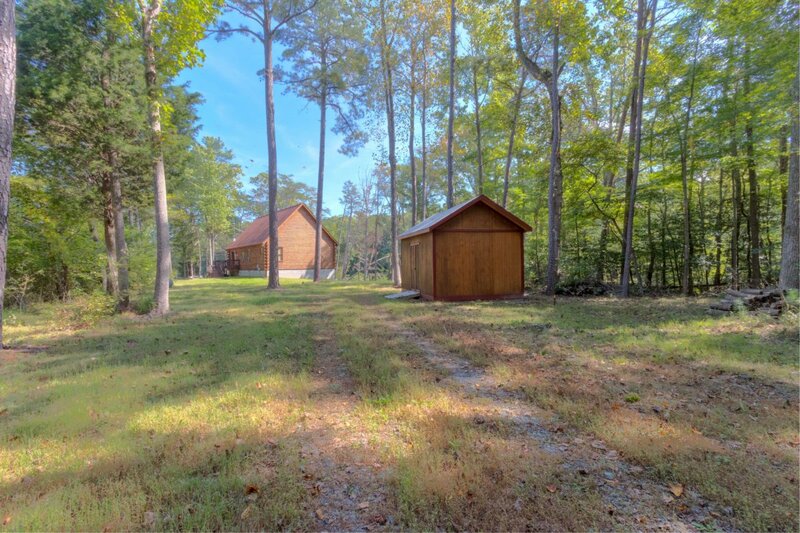 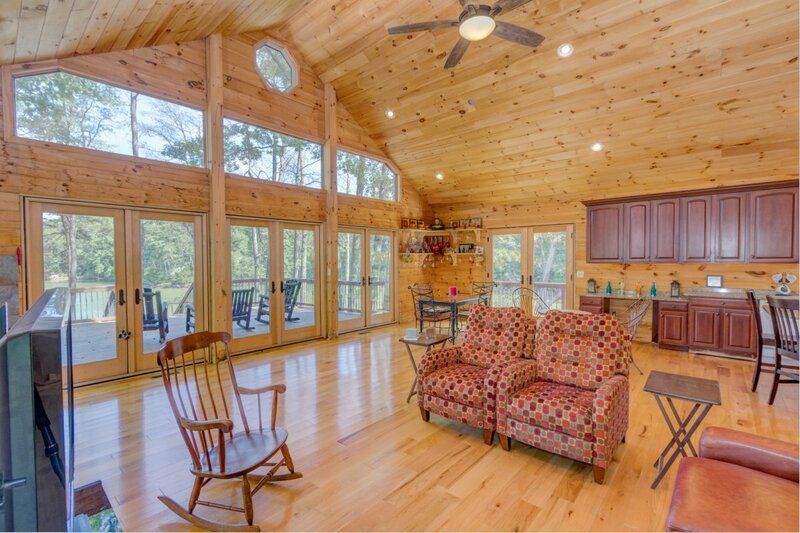 Gorgeous Cabin on Presley Creek! 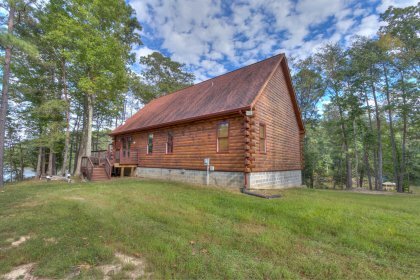 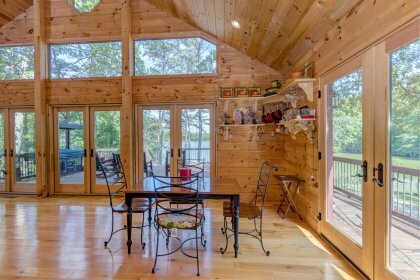 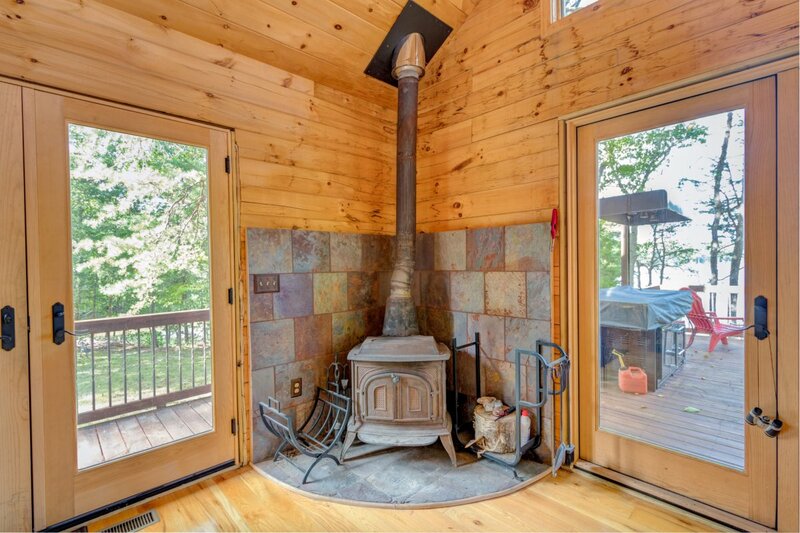 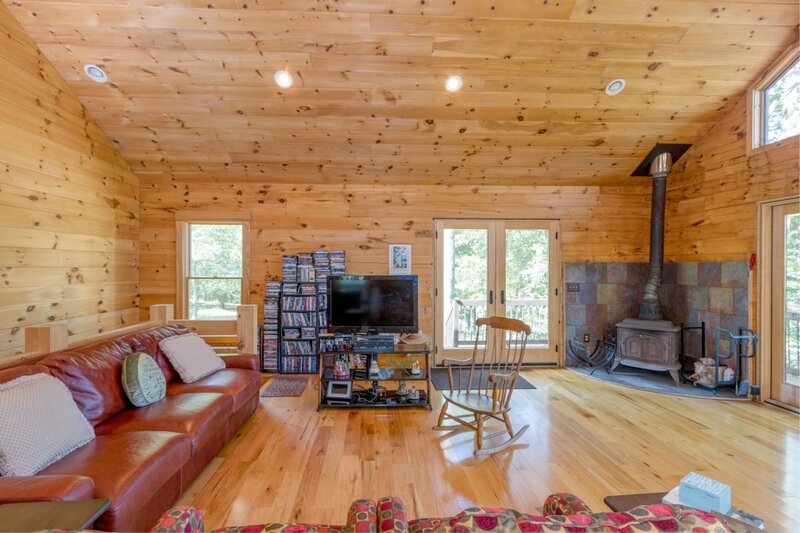 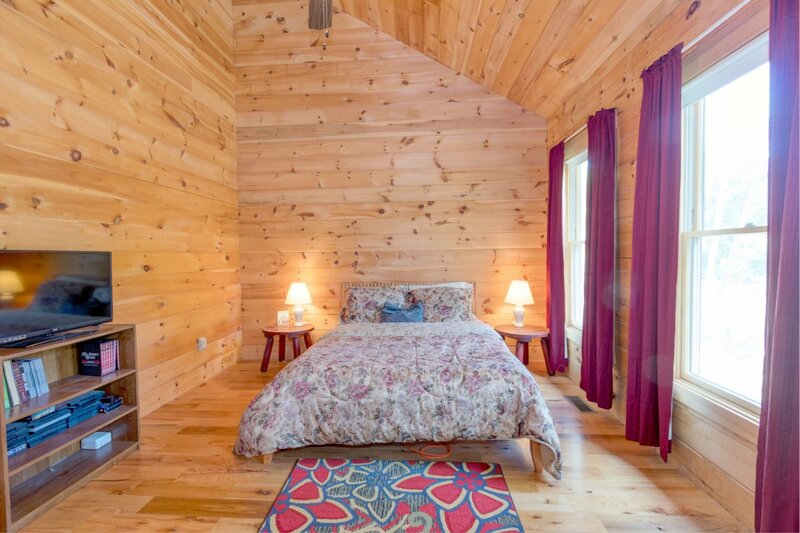 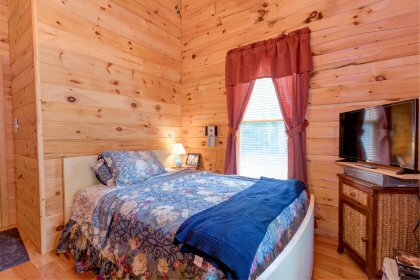 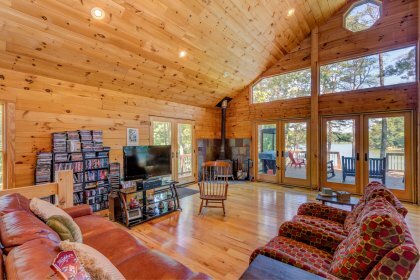 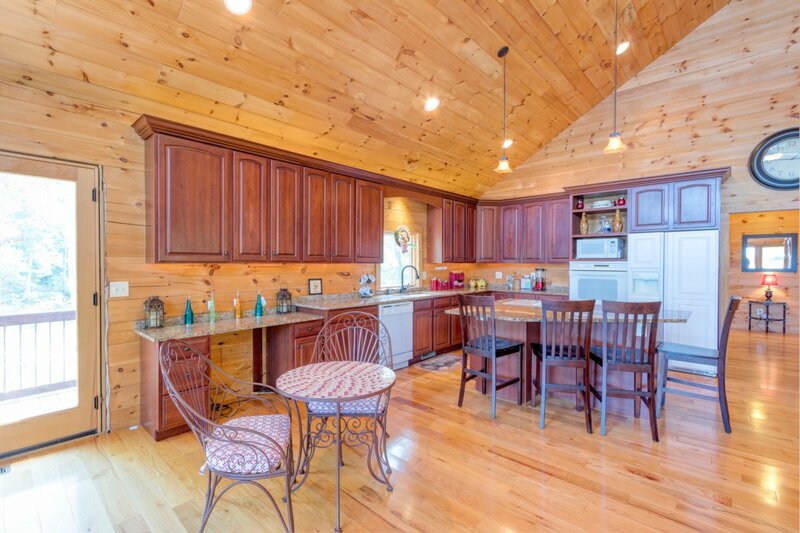 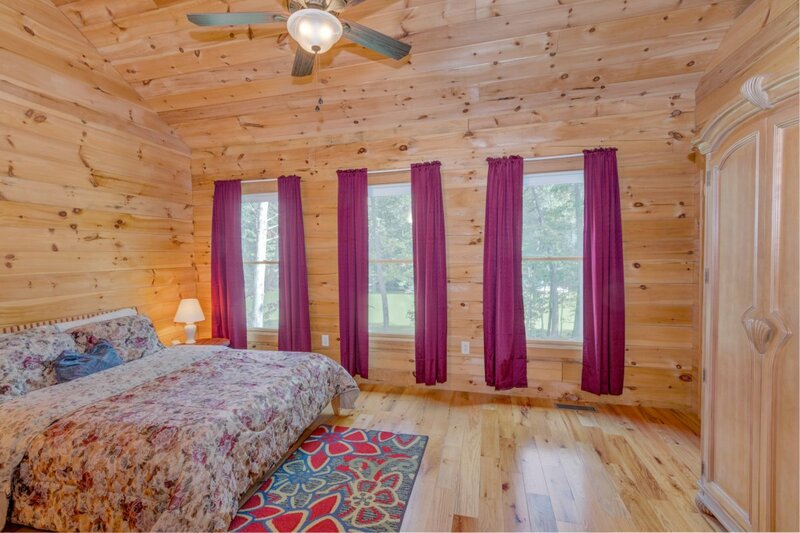 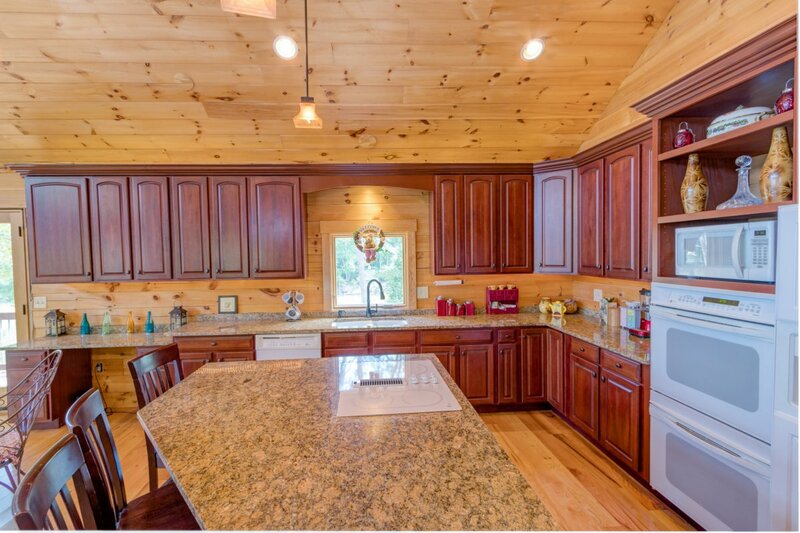 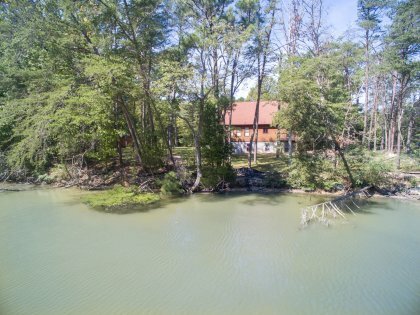 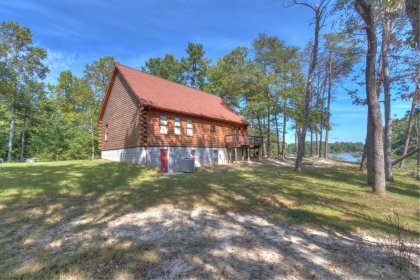 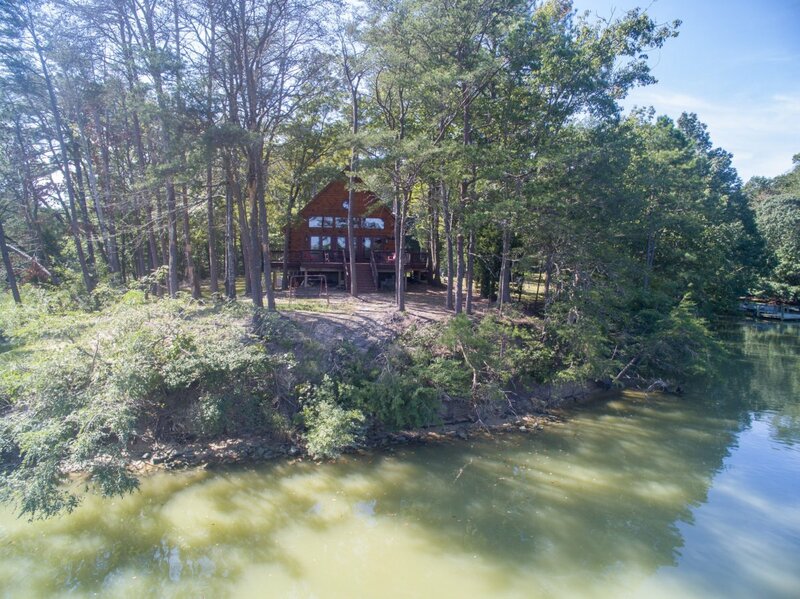 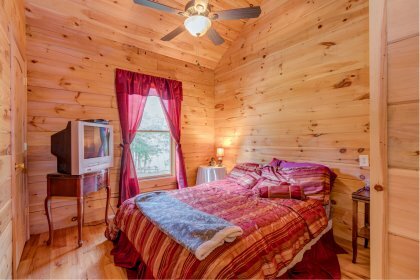 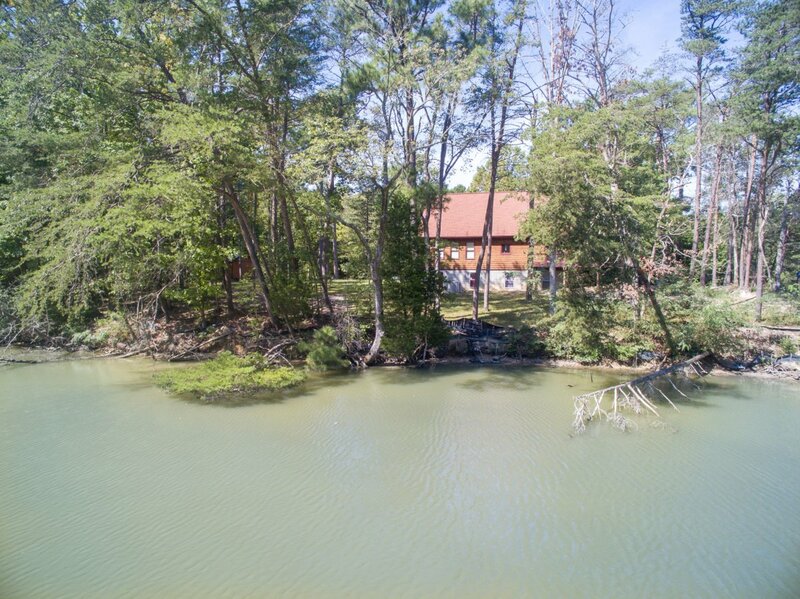 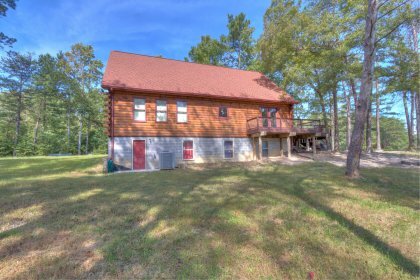 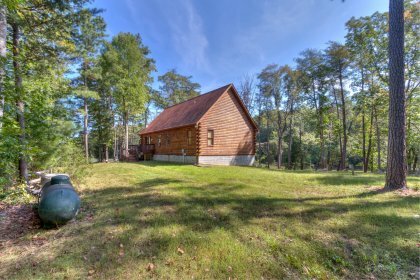 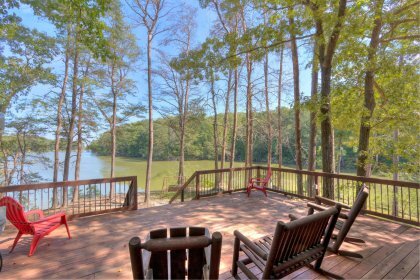 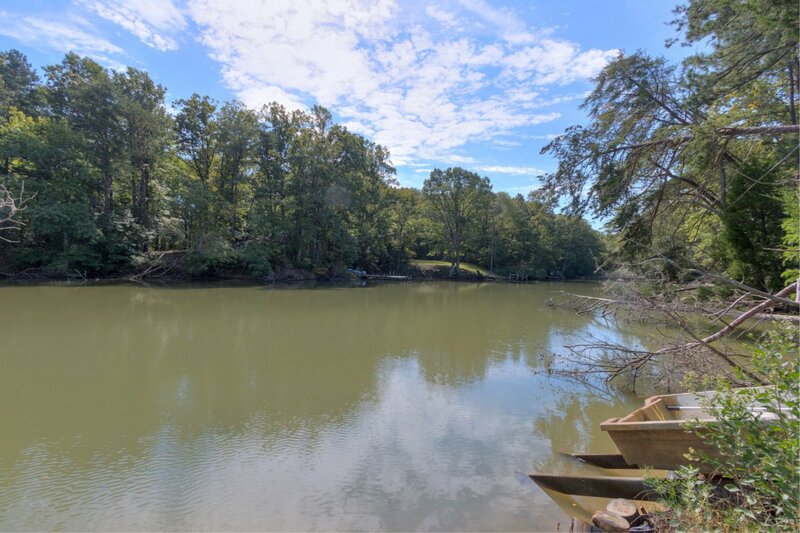 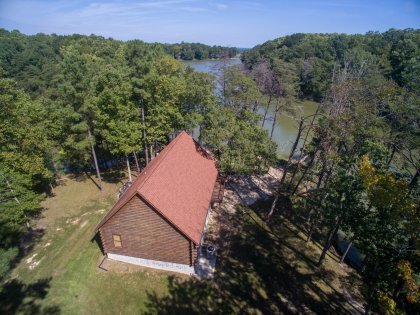 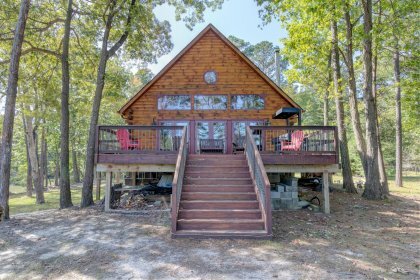 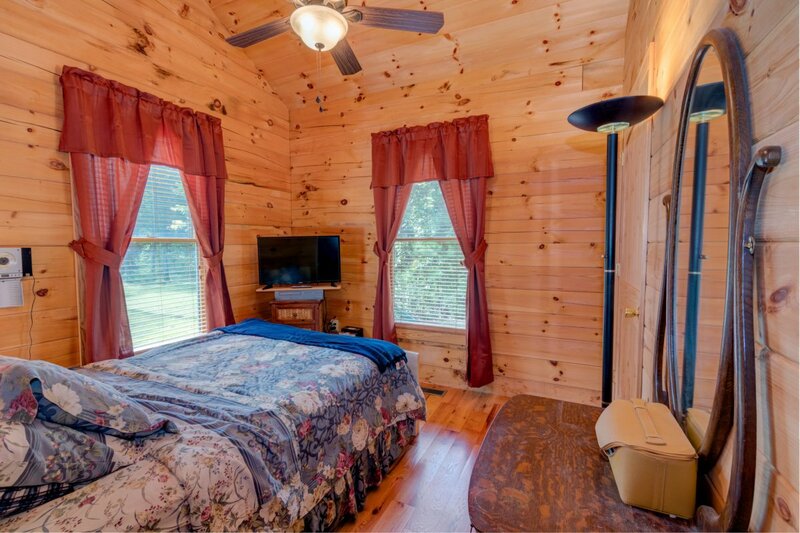 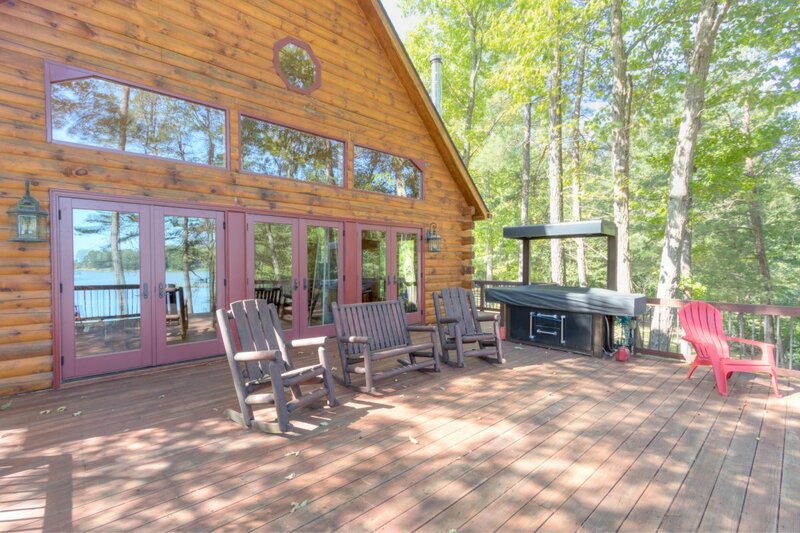 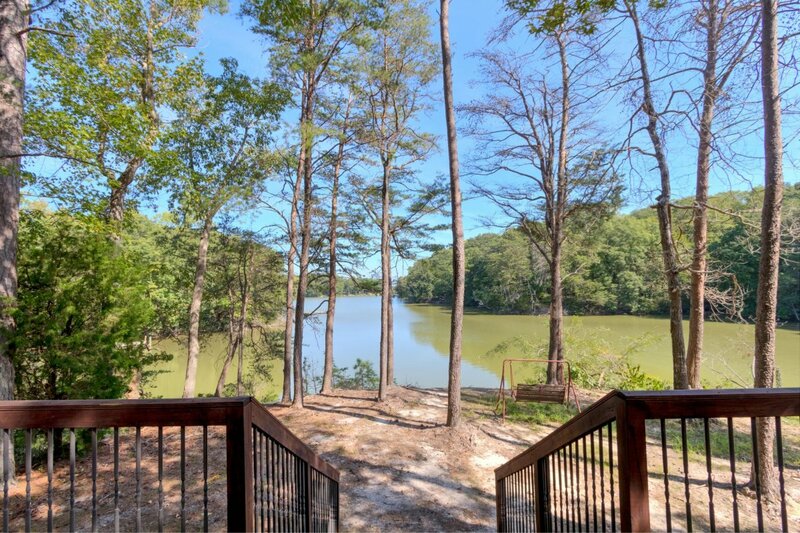 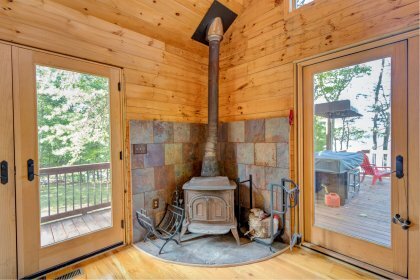 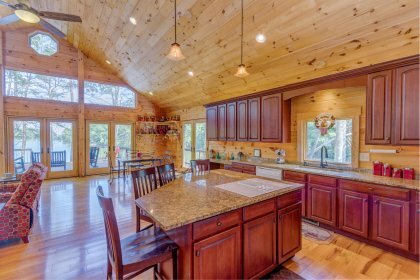 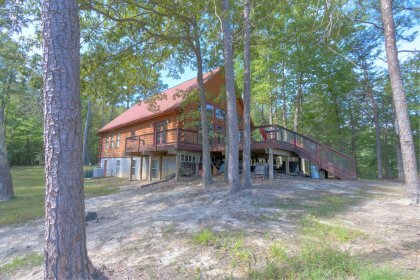 Situated on the waters edge with great water views from every room, this gorgeous beautiful log home is stunning! 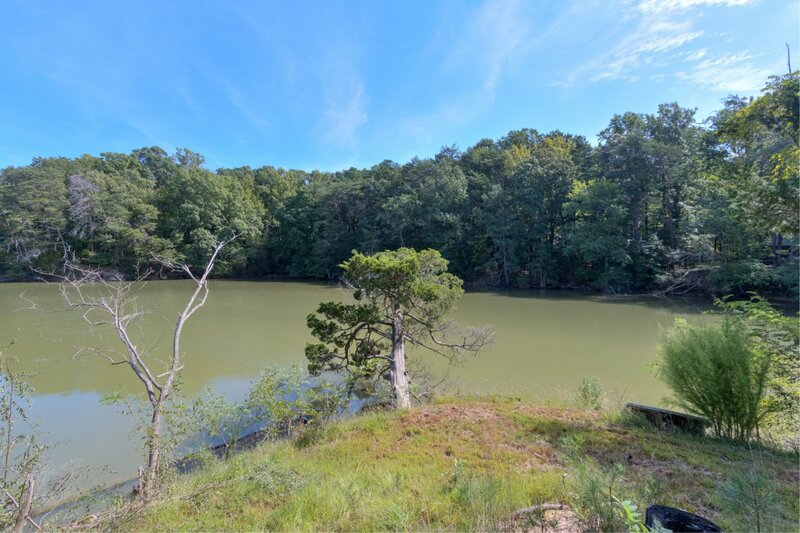 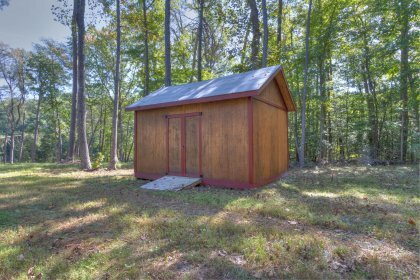 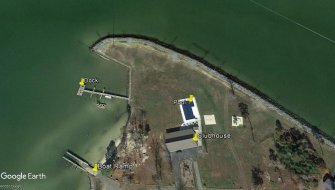 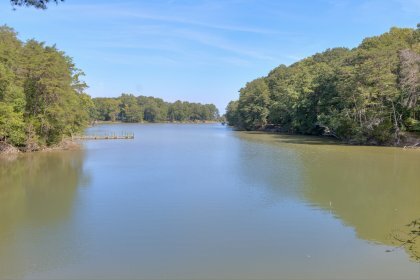 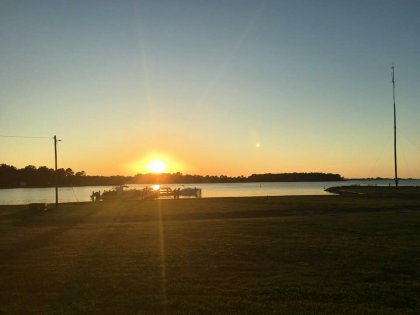 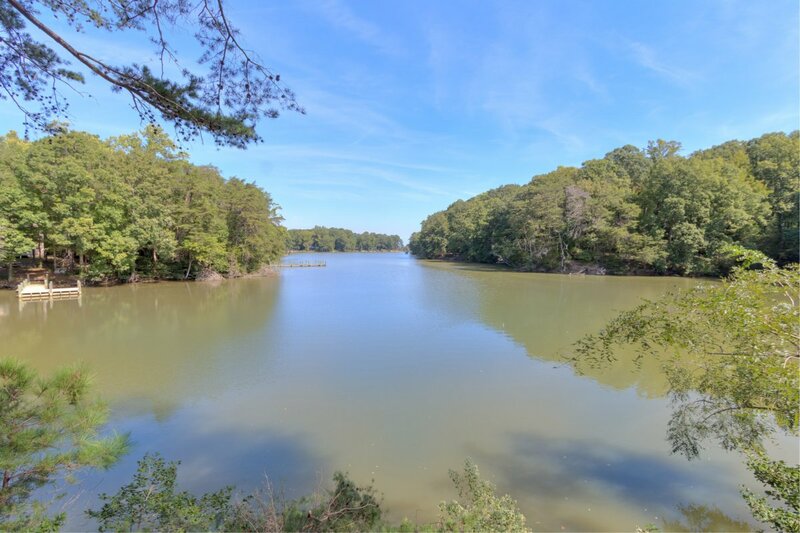 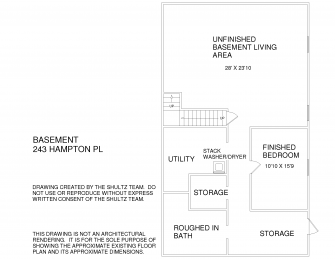 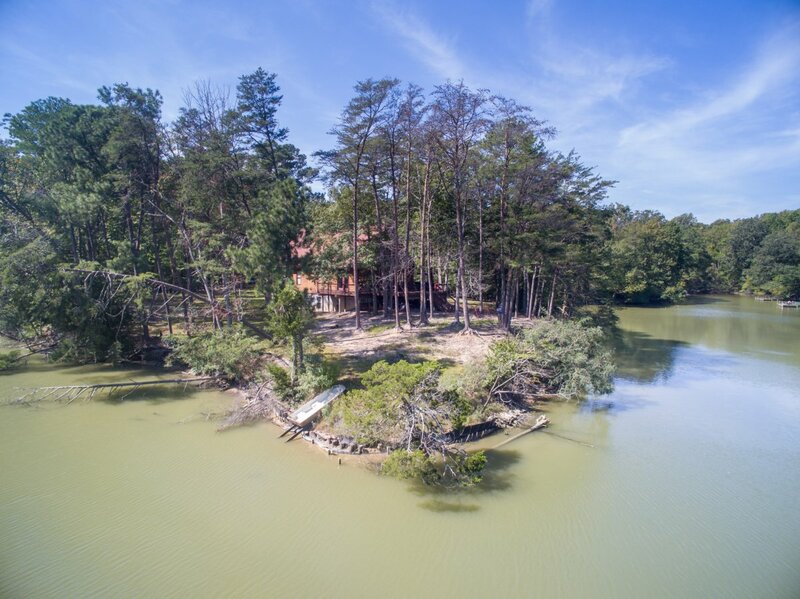 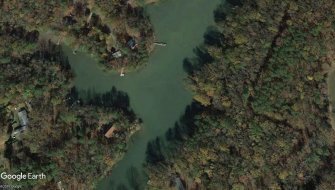 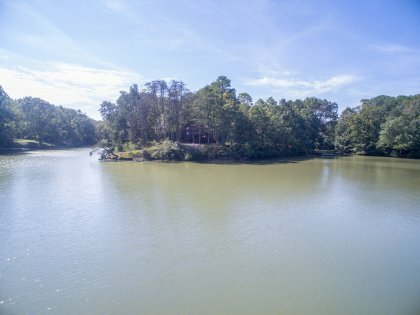 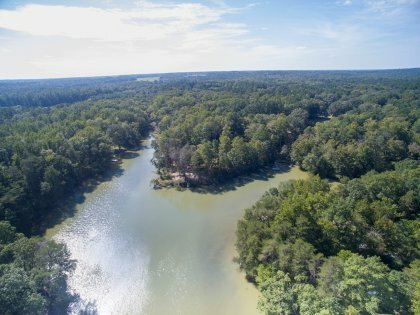 The site plan for this property was approved before the 100' setback was established by the Chesapeake Bay Act. 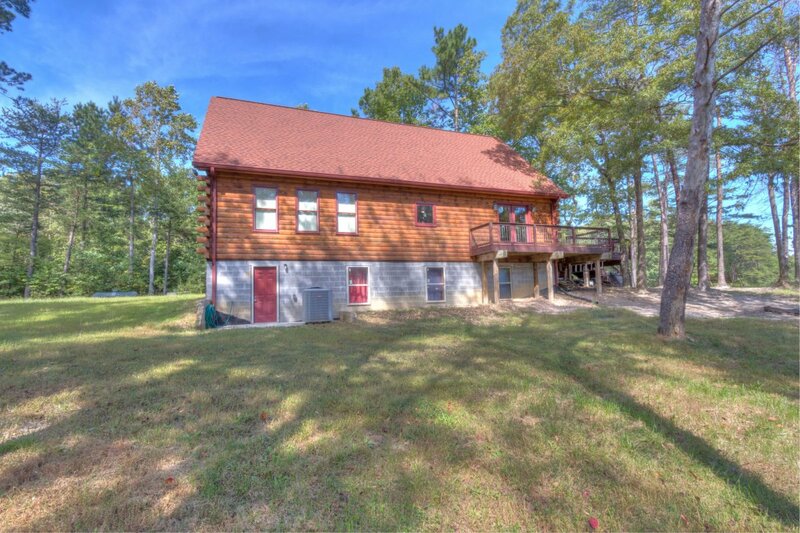 This allows for commanding views from the great room and huge waterside deck. 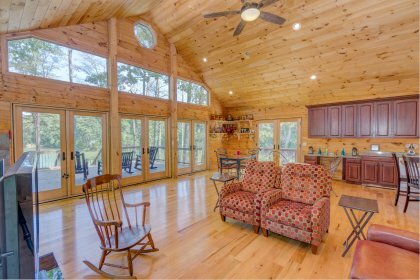 The great room features 18' vaulted ceiling and an open floor plan that is fantastic for entertaining and spending time with loved ones. The kitchen has granite counter tops, an island with bar seating, sink with water view, surface unit, double ovens and lots of counter space. 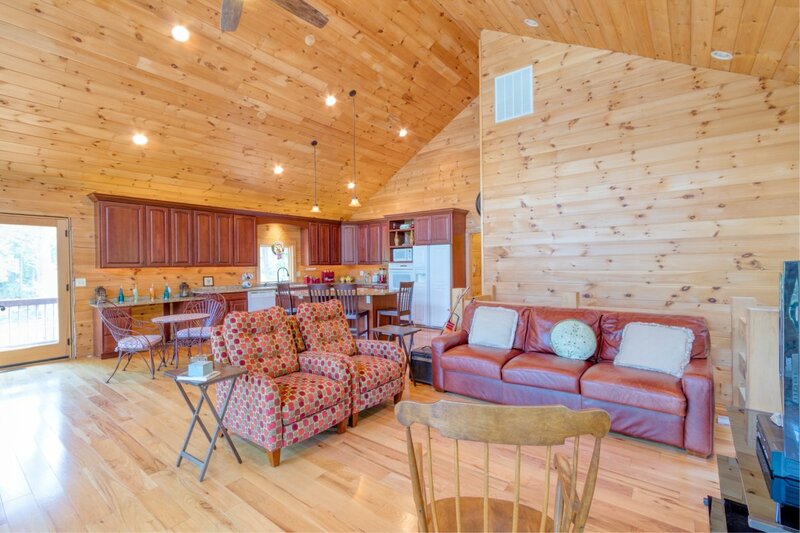 The huge great room has plenty of room for dining and living spaces. 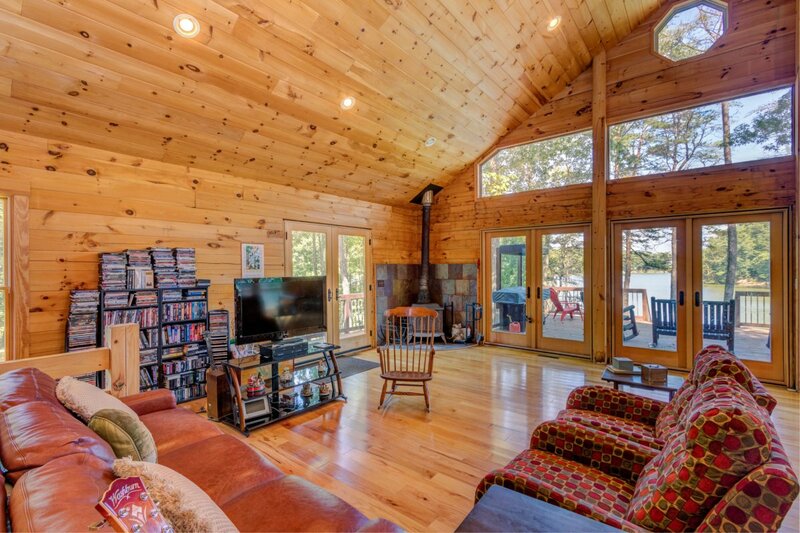 A wall of windows on the waterside brings the river right into the living space. 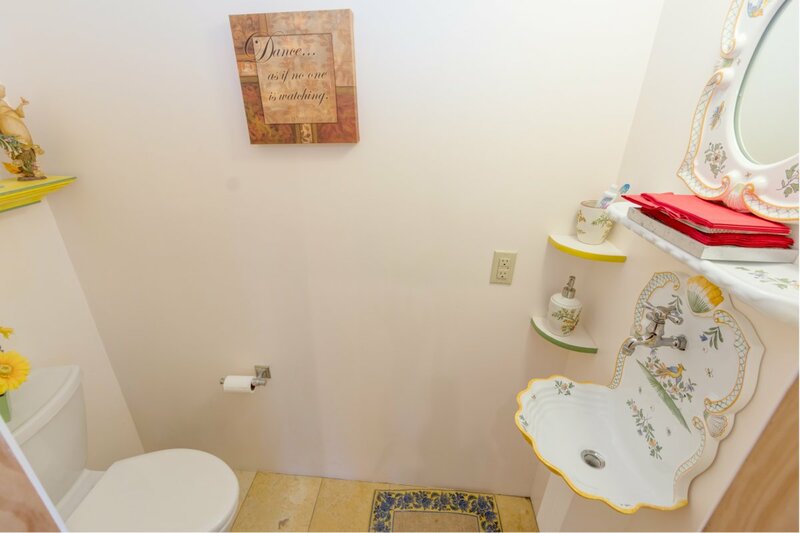 There is a powder room off the great room. 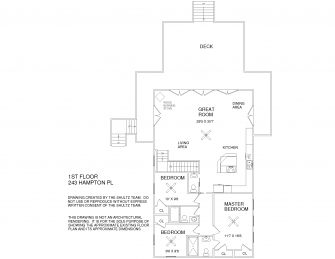 The master bedroom and 2 guest bedrooms can be closed off from the living area by double pocket doors. 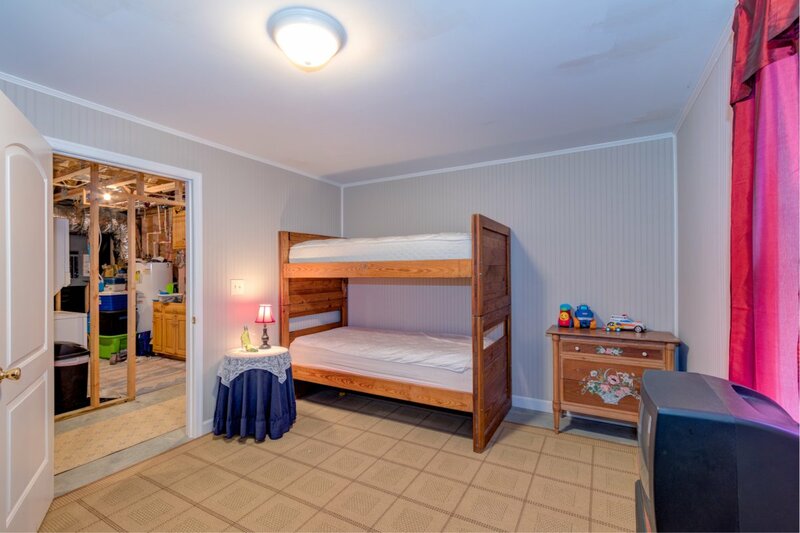 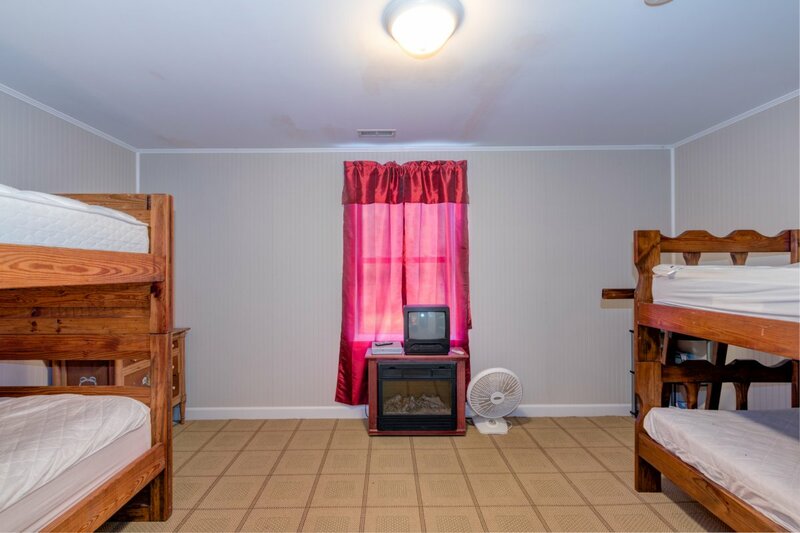 The master bedroom is spacious with his and her closets and a gorgeous master bath. 3 large windows provide water views and lets in the sunshine. 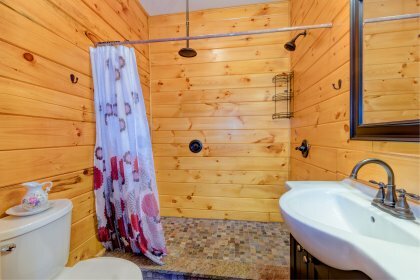 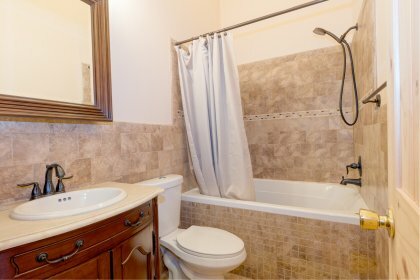 The full guest bath has a large soaking tub and shower. 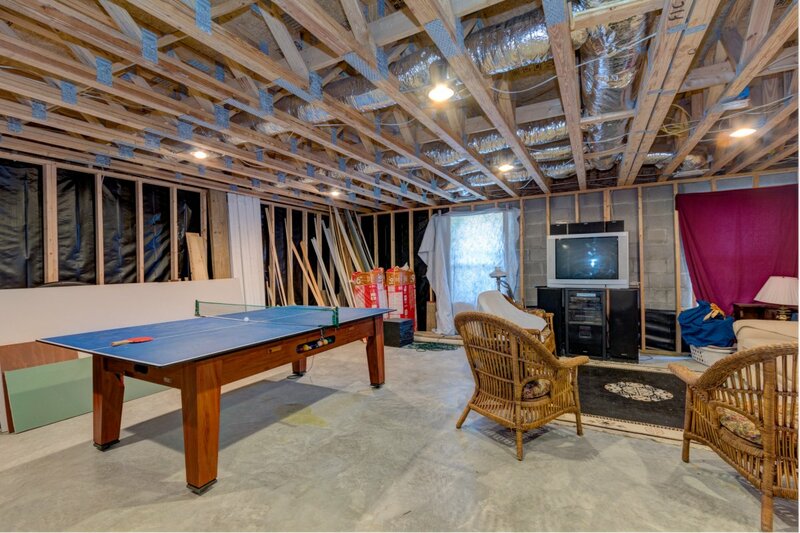 The basement is the same size as the main floor and is heated a cooled. 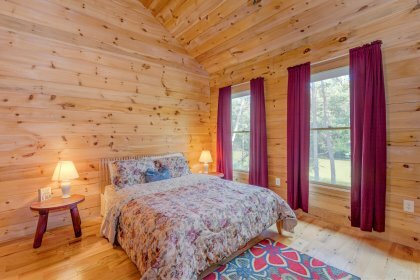 A finished room provides additional sleeping space. There is a large room that perfect for additional social space. 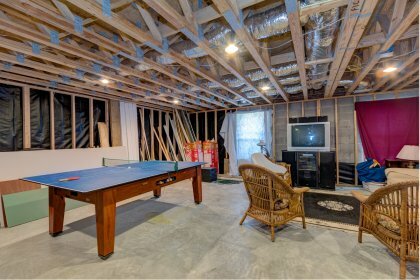 The basement can be easily finished and there is a roughed in large bathroom. 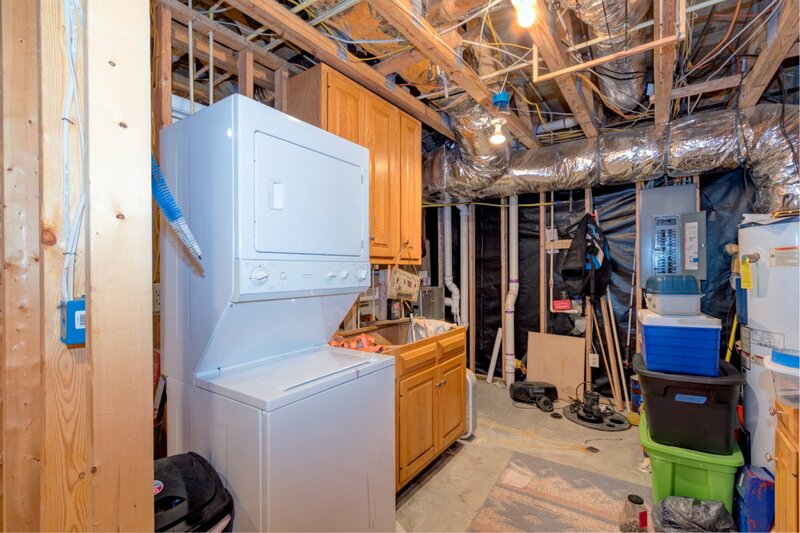 A stacked washer and dryer is located in the basement. 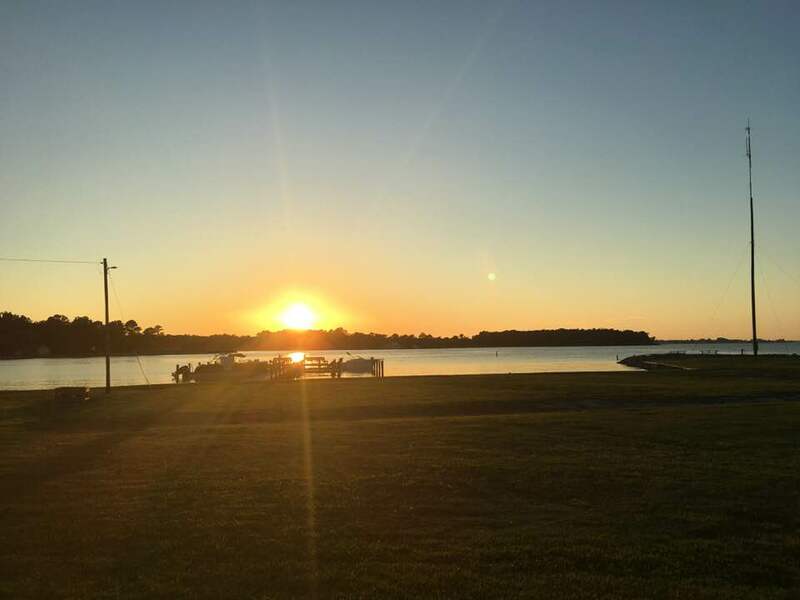 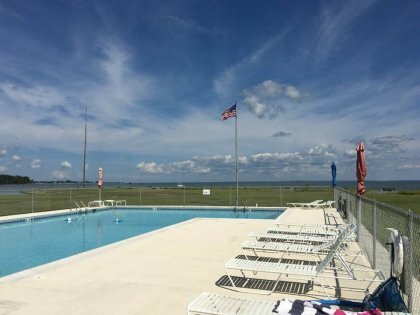 The community has a boat ramp, pool and sand beach!